Wimberley Pharmacy and B&J are wellness oriented pharmacies that treat you as an individual. We deal with primary prevention and underlying causes instead of just the symptoms, from everyday illness to chronic disease. We offer wellness consultations that utilize natural remedies, saliva hormone testing, therapeutic lifestyle changes, nutritional supplements and working with you as a whole person to achieve optimal wellness. We want you to live your best life. We are a PCAB accredited pharmacy and our pharmacists and compounding technicians are PCCA trained in prescription compounding. Prescription which involves formulating and preparing medications specific to your health care needs and your practitioner office. We work closely with physicians to find solutions to patient’s health care challenges; especially when it involves difficult to find products, chemicals, dosage forms and formulas. There are many ways to take a medication and we want to make sure we can find the most effective outcome for you. We can make anything from capsules, creams or gels, suppositories to lozenges. For example, if a child cannot take a pill orally, we can have that pill made into a cream to rub and absorb into the skin. We use the highest quality ingredients and supplies available. Common compounds include bio-identical hormones, topical pain relief, veterinary prescriptions, dye-free, gluten free, lactose-free and preservative free medications. Come by and talk with us, we can’t wait to help you on your path to wellness. John Scott Anderson has been working as a registered pharmacist for over 30 years and has incorporated nutrition into his practice for most of that time. John oversees the day to day business at both pharmacies and spends much of his time consulting with clients about their unique and individual health care needs. John and his family have made the hill country their home for many years. John’s focus in his practice is “bringing the science of nutrition to the science of medicine”. Set up a time to come by and talk with him soon. Ela Anderson is the Chief Financial Officer, a wellness consultant, as well as the gift and design center buyer for our pharmacies. Growing up in Europe, Ela was surrounded by traditional herbal and holistic medicine which inspired her extensive medical background as a registered nurse and licensed massage therapist specializing in hydro therapy, acupressure, ear candling and shiatsu. Ela and her husband John are happily raising their son in the beautiful hill country. Ela loves to travel, experience new and different foods and she’s grateful for all the opportunities that she has at Wimberley Pharmacy and B&J Pharmacy to help people daily on a path to wellness. Rebecca Cable is a Wimberley High School graduate as well as a graduate from Southwest Texas State University where she received her Bachelor’s of Science in Microbiology & Chemistry. 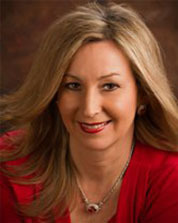 She has extensive course and accredited hours in nutrition, pharmaceuticals, management and marketing. 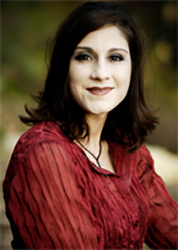 Rebecca has worked in the pharmaceutical industry for over 15 years. Rebecca is married to Judge Andrew Cable and they have two wonderful, energetic sons. Rebecca is a Life Member of the Woman’s Auxillary of the V.F.W., is active in the Texas State Alumni Association as well as she enjoys coaching her sons basketball and baseball teams. 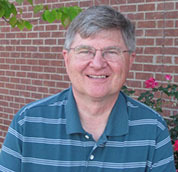 Don Bounds RPh. works at our B&J Pharmacy. Don graduated from the University of Texas with his degree as a pharmacist and owned a small independant pharmacy for 30 years. Besides his excellent customer service Don brings with him an extensive knowledge of diabetic footwear and care. Don is a C. Ped. which means he is a professional at fitting shoes and working with the foot from the ankle down. 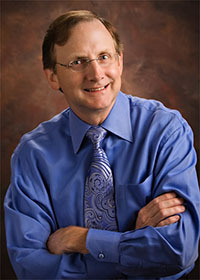 He specializes in foot care and provides seminars on living with diabetes right here at B&J Pharmacy.